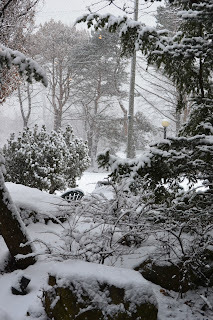 wow...no way does it seem like it should be March already! Whew, February flew by! 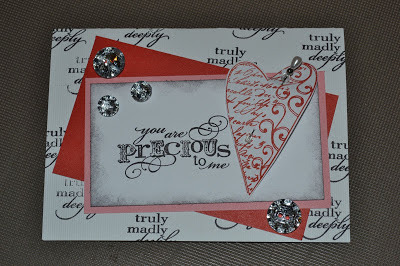 I was going to say that I'm going to have to get more scrappin' and stampin' done but ... I got lots of fun stuff done this month. I hope March to be my month for "Altered Projects". For some reason, I love to "look" at altered projects and I always have best intentions of completing them when I purchase the supplies but there they sit, in my craft stash collecting dust .... ugh! 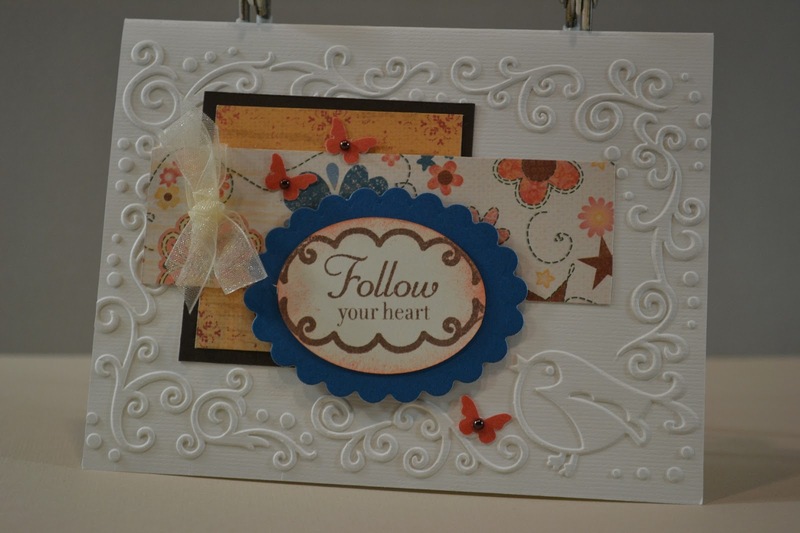 It's ALMOST FRIDAY which means it's time for our Color My Heart Color Dare challenge #32. This week we're using Pear, Lagoon and Outdoor Denim . 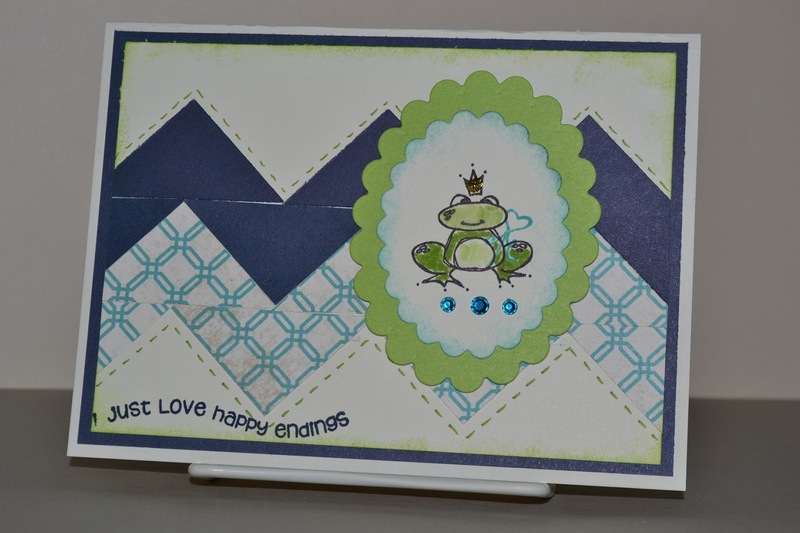 My card (which wasn't the original project I had planned to share w/ you) is inspired from Paper Craft Planet and their tutorial on "How to Turn Your Squares into Chevrons". Fun! Since it's the end of the week and I'm hoping Friday is better than Thursday was, I used CTMH stamp "Happy Endings"
Ugh, snow today ... freezing rain tonight/tomorrow. While I realize that I live in the Midwest and it's that time of year, snow is much better than freezing rain/ice. LOL! Ok, enough complaining and whining ... WWaAAnnNNnhhHh. Let's celebrate that it's FRIDAY and that means it's time for Color Dare Challenge #31. 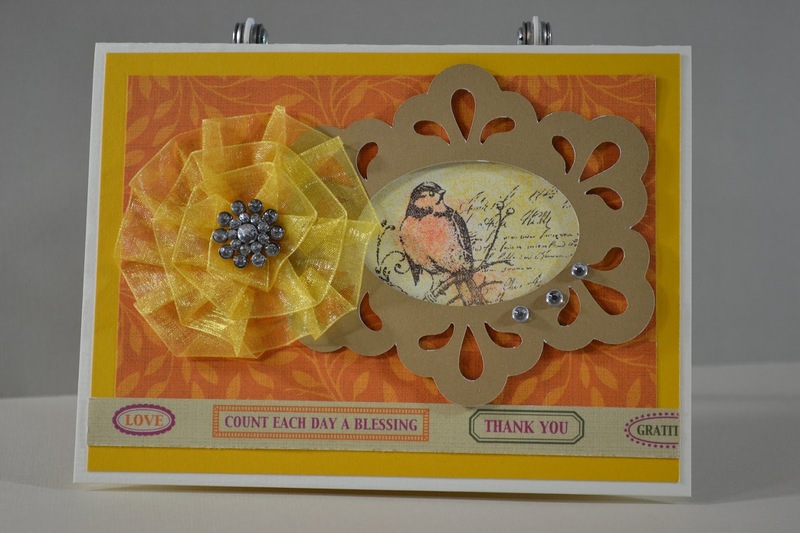 This week's colors are another REALLY fun combination to play with - Buttercup, Honey & Sunset. 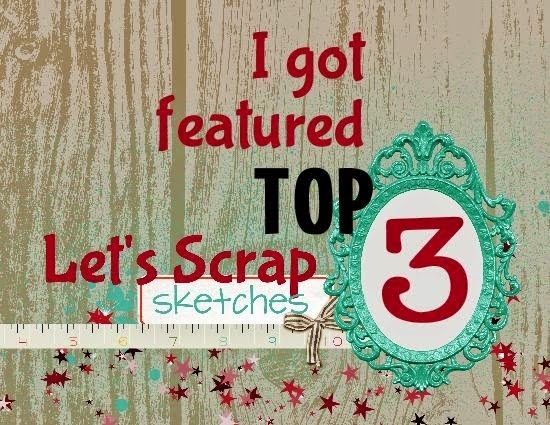 My sketch is from this week's Sweet Sketch Wednesday. 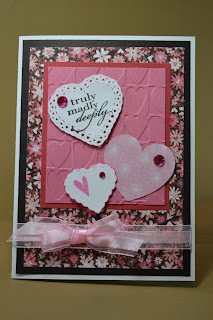 I hope you'll come and play at Color My Heart Color Dare Challenge with us. 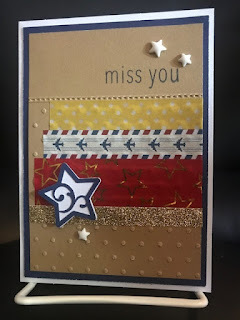 Ahhh ... this week started out rough and I didn't get my Challenge Card posted Monday for our very FUN ABC Challenge this week - add some stitching - faux or real. Anyone who knows me knows I couldn't mend a sock so stitching for real was probably not gonna happen here but faux is always fun too! It's been up-and-down weather there in NE Ohio. 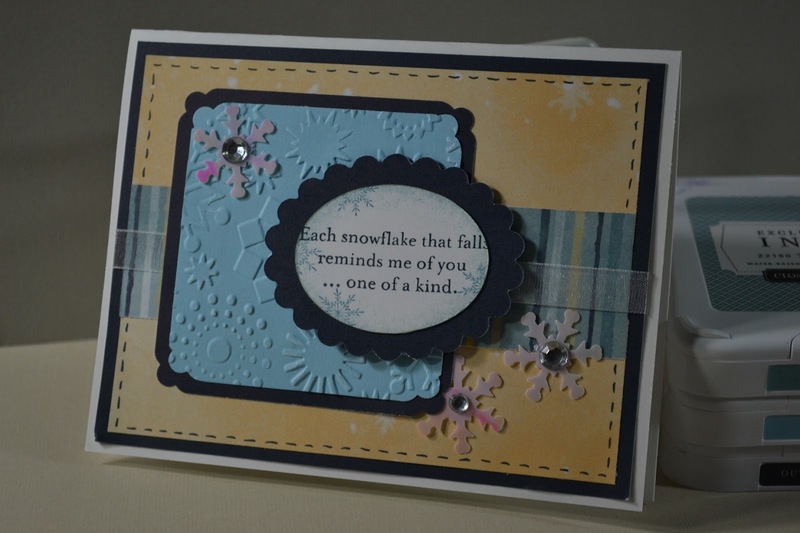 It's expected for this time of year so I wanted to use snowflakes while they're here. Trust me, when they're gone, I don't miss them, LOL. This started out from MOJO Sketch #279 but I put the panels on "backward" so it's a bit of stretch ... but that's where the creativity comes in. 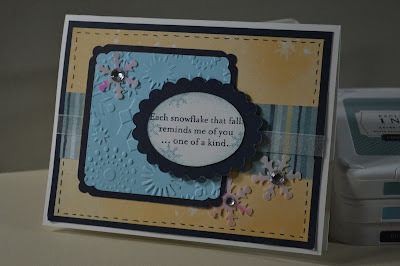 My card theme - snow - was perfect timing though because this weekend we had over 5 inches of snow with more coming this week. Happy Crafting! MOJO Monday #279 sketch and played along with the SCS LoveFest Challenge A. Use items in the word "L-O-V-E". (Mine: L - layers, O - Oval, V - Vanilla, E - Emboss). 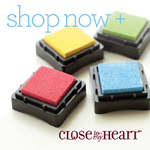 I hope you felt the LOVE today from a sweetie or 2 and you'll play along with us at Color My Heart this week! 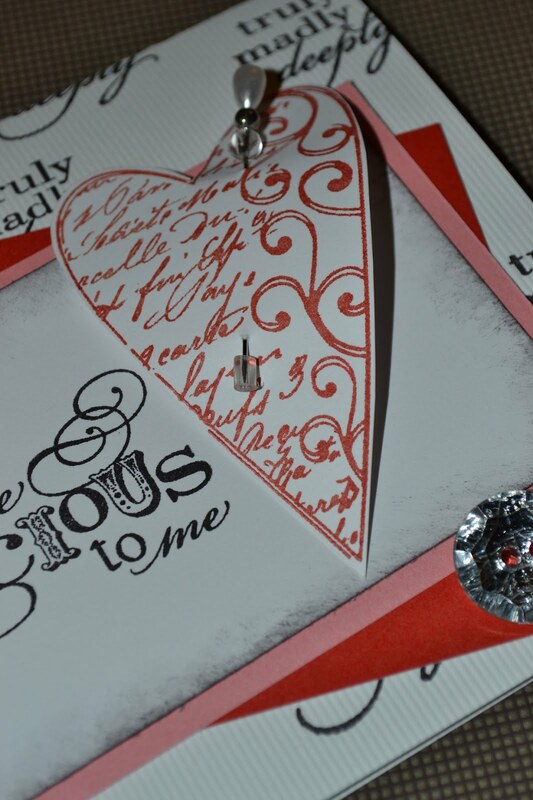 I hope you'll come and join us at Color My Heart this week for a FUN Valentine Challenge! Happy Saturday! 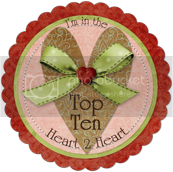 Welcome to Day #2 of my Countdown to Valentines! 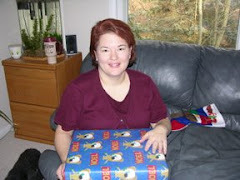 If you stopped by yesterday, you saw that I am hosting a countdown to Valentines Day. I absolutely LOVE Hearts and my favorite color is red and purple ... chocolate ... and flowers ... and, well you get the idea. It's a great time for me to host a count down to all things fun for 14 of Feb.
Today's card is made from last year's CTMH Valentine Pack - Sweetheart! I don't have much left because I did Valentines and layouts with it last year but I'll be using what I have left for this years countdown. 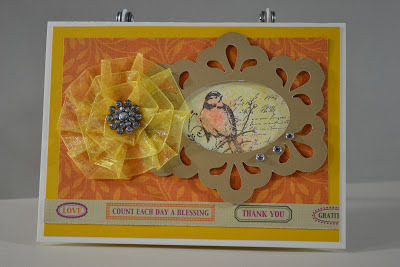 This card sketch is from Sketch Frenzy Friday #1228. It worked perfectly to show off some of the heart patterns I can cut with my CTMH Cricut Artiste Cartridge! It's my favorite!